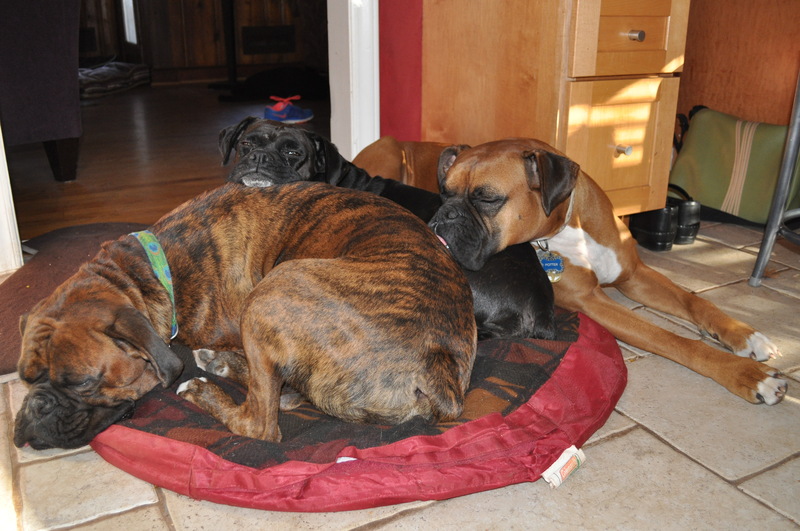 We have been fostering boxers with Blue Ridge Boxer Rescue since October 2011. 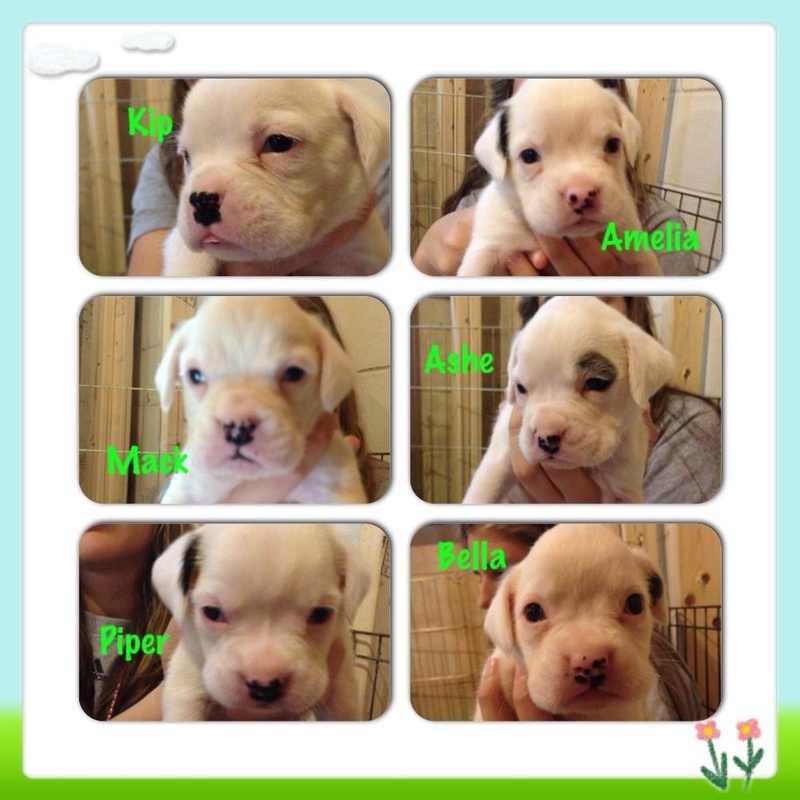 Below is a look at all the precious fur babies whom we have welcomed into our home! 17+ , not counting the three we had twice, still going strong! Where it all began! 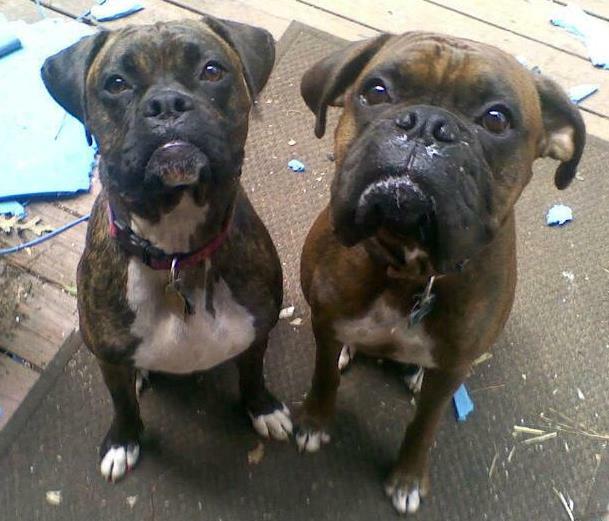 Lucy (left) adopted from Blue Ridge Boxer Rescue May 2011. 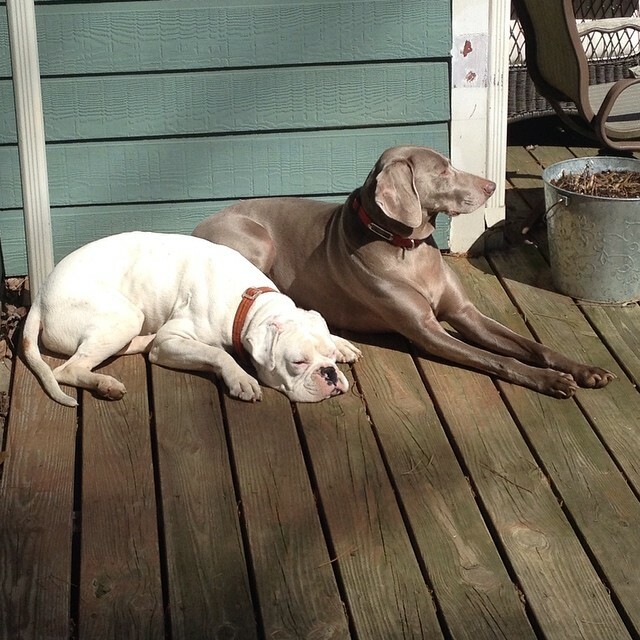 Rex (right) adopted from a friend April 2010. Maple ( 10/2011)– Maple was pulled from a Gassing shelter is Shelby, NC. 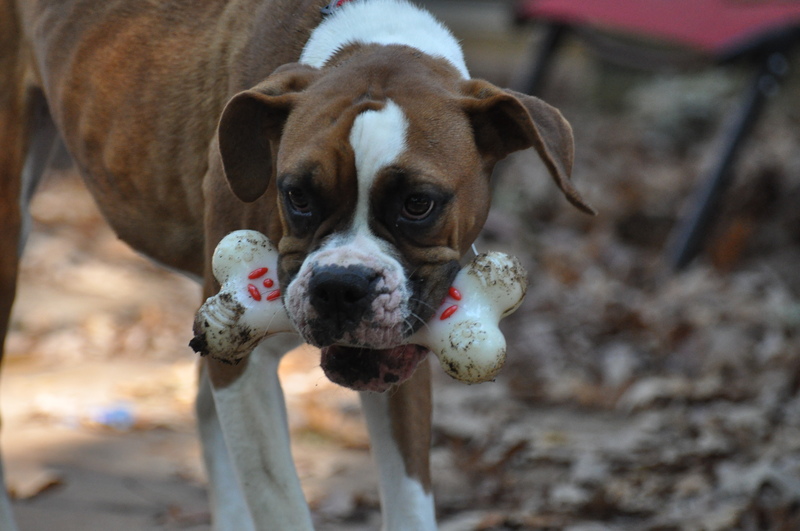 She is living happily ever after with another boxer in Western NC. 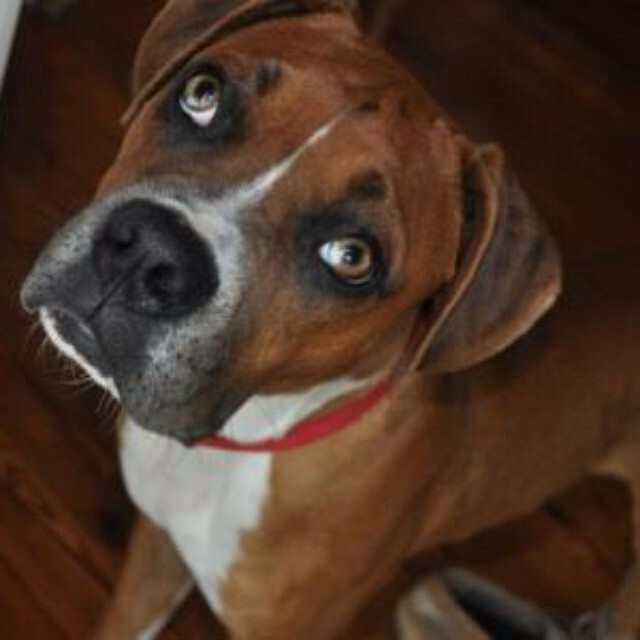 Potter (11/2011)– Potter was pulled from a gassing shelter in Gastonia, NC hours before he was to be euthanized. 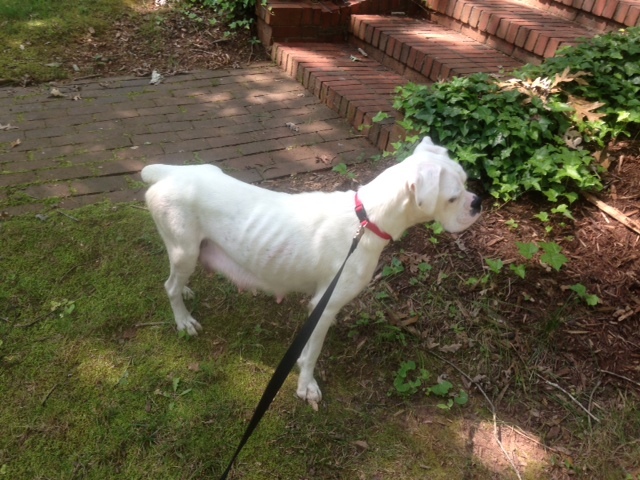 Picked up as a stray this sweet boy was intact, emaciated, with visible ribs, hip bones, and was heart worm positive. 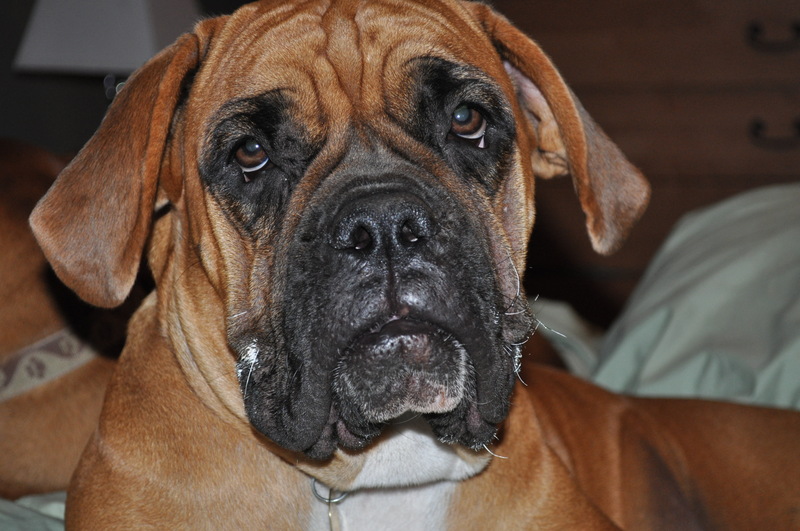 We fattened him up, treated all his medical issues, and gave him lots of love. 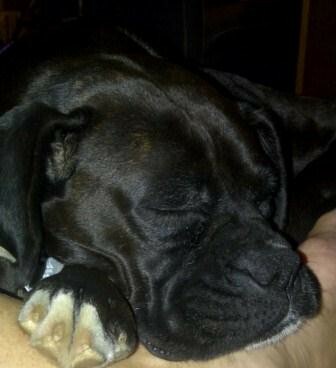 Potter was adopted, he was gone 6 weeks, before he and is sibling were returned to the rescue. We took him back in and adopted him! Celebrating heart worm negative status! 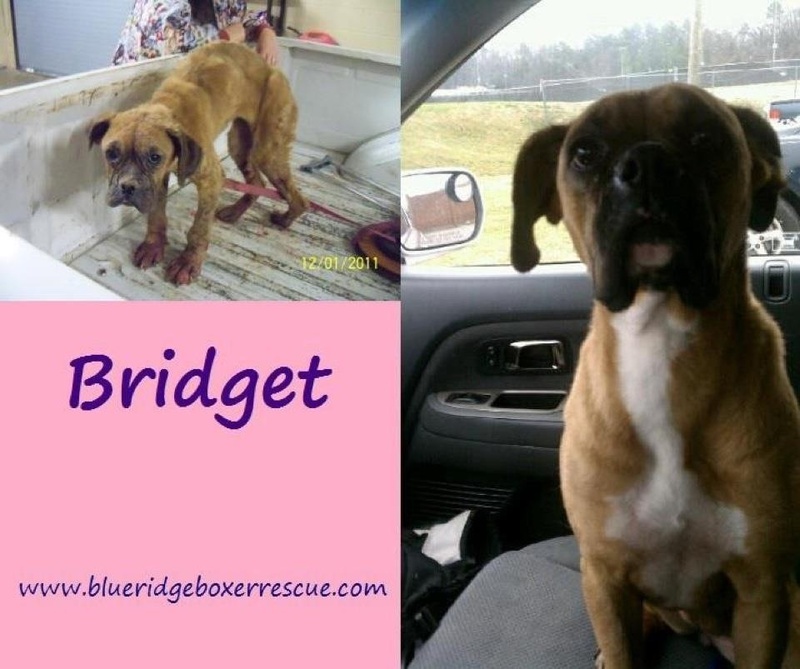 Bridget (2/2012) Bridget was picked up as a stray in Anderson, SC. She was in terrible shape. Estimated age 9 months. Super sweet girl! After she was all fixed up she was adopted to a family in Charlotte, NC. 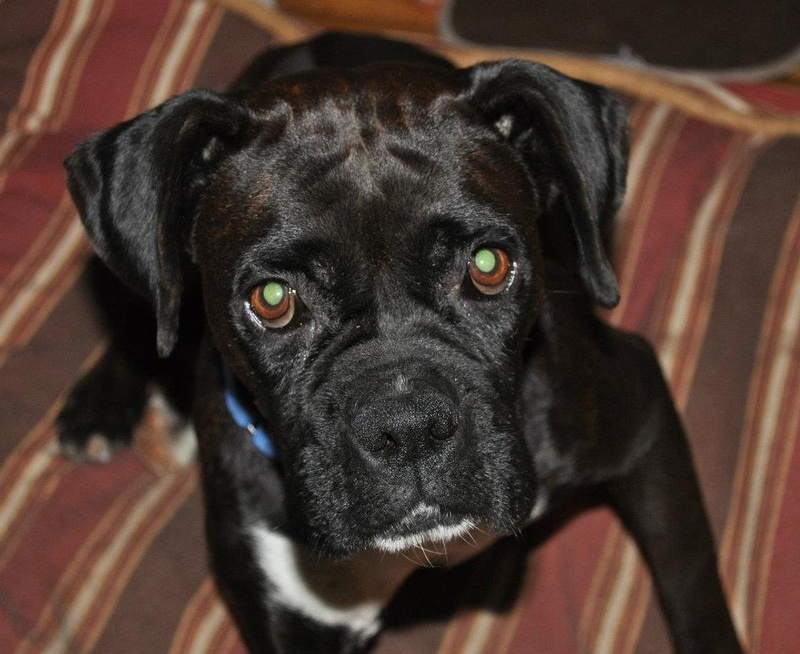 Allee (March 2012) Allee was surrendered to the rescue with a prolapsed uterus..she had for over a year. 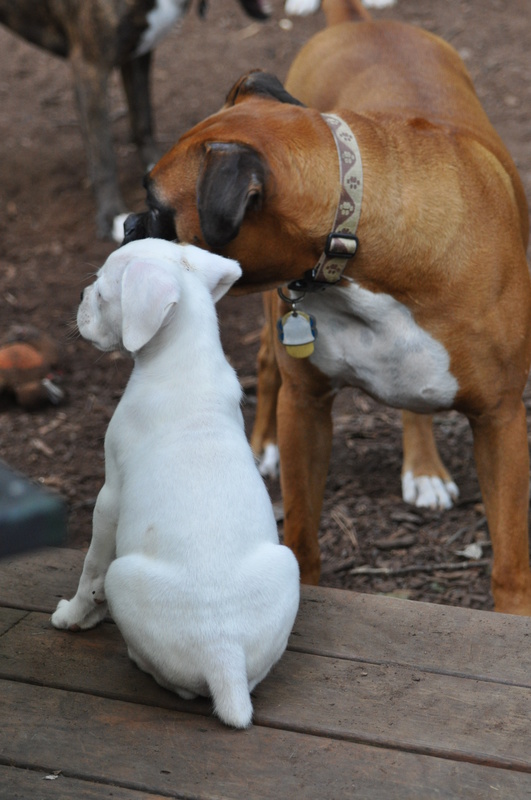 She healed nicely and we worked on socialization with our Boxer Crew. 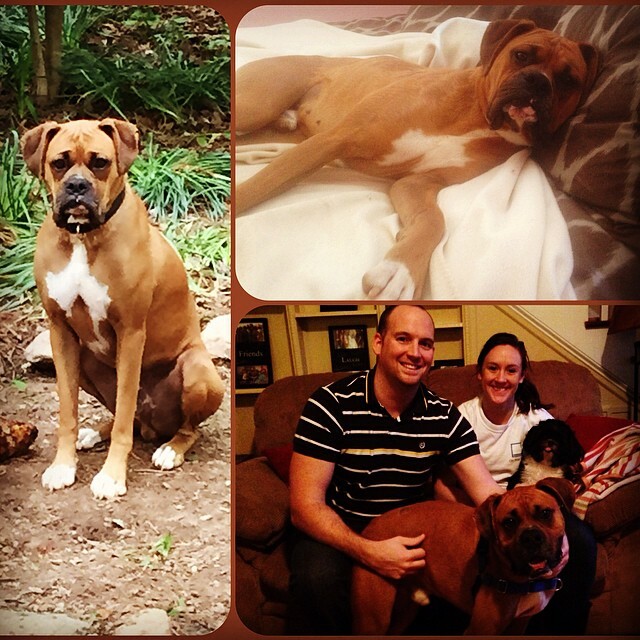 Allee was adopted to a loving family in Charlotte, NC. 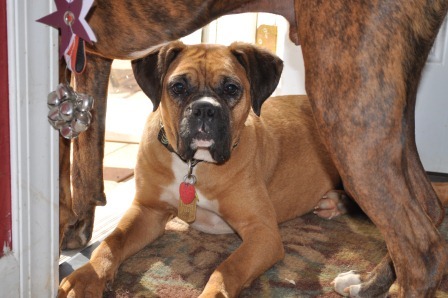 Allee has taken a special role in her family as nurturing the incoming foster puppies. Special Thanks from Allee’s family. Lizzie ( June 2012) Lizzie was picked up as a stray and lived with a caring family until they realized they could not financially provide her with the medical treatment she needed. 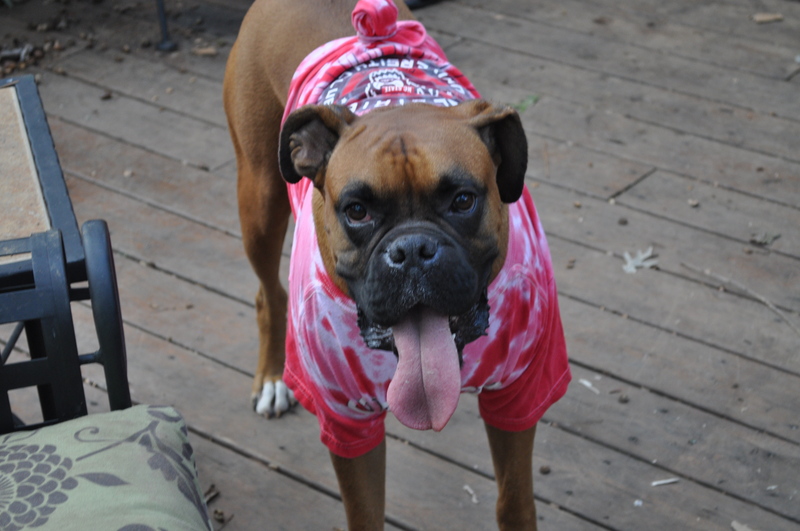 Lizzie, a sealed pocket boxer, arrived emaciated, full or worms, and heart worm positive. Once healed Lizzie was adopted, unfortunately, it was not a good fit and returned to us for several more months before she found her final furever home. Lizzie lives locally and stays with us often. She is thriving in her new home. 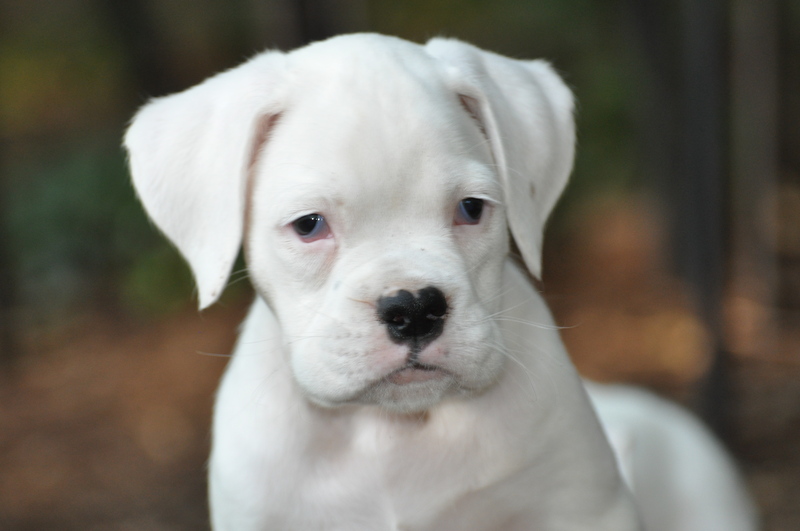 Rancher 2013– Our first white boxer! 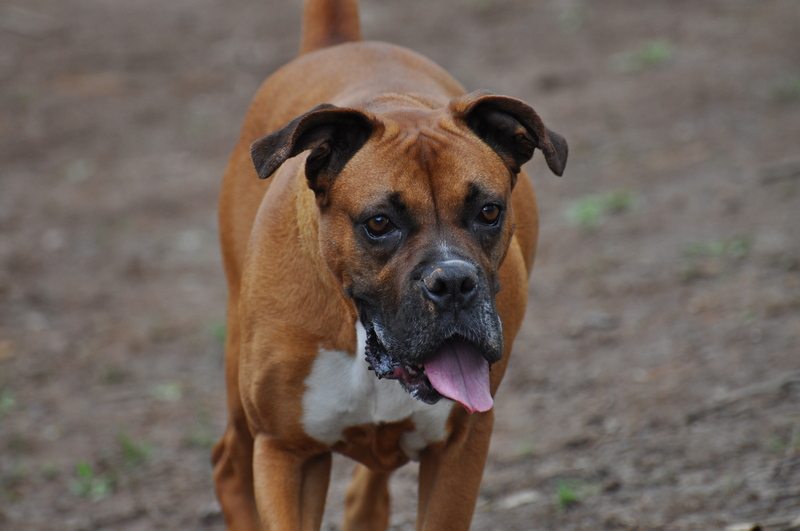 Rancher, AKC registered, was surrendered to the shelter with his breeding mate. It was obvious Rancher was used as a stud and had very limited human touch or social interactions. He was a sweet boy. 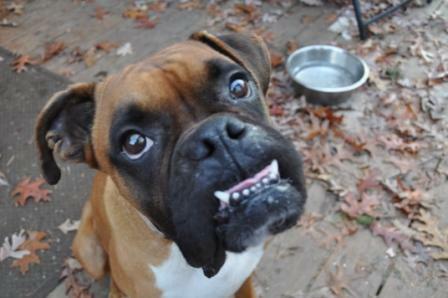 He was neutered and adopted very quickly to a family in Raleigh, NC. 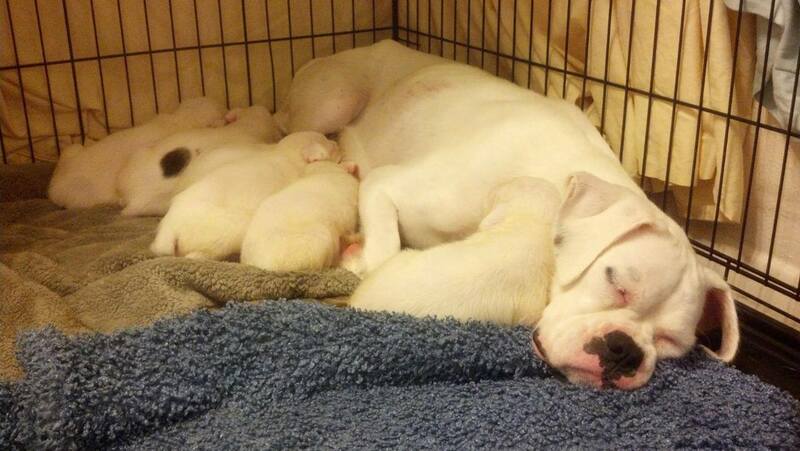 Momma Sam and her 6 puppies (June 2013)- Sam and her 6 puppies were rescued from a puppy mill raid in SC. Full of worms and parasites these whities were a hot mess! They rocked our world and it was love at first sight. 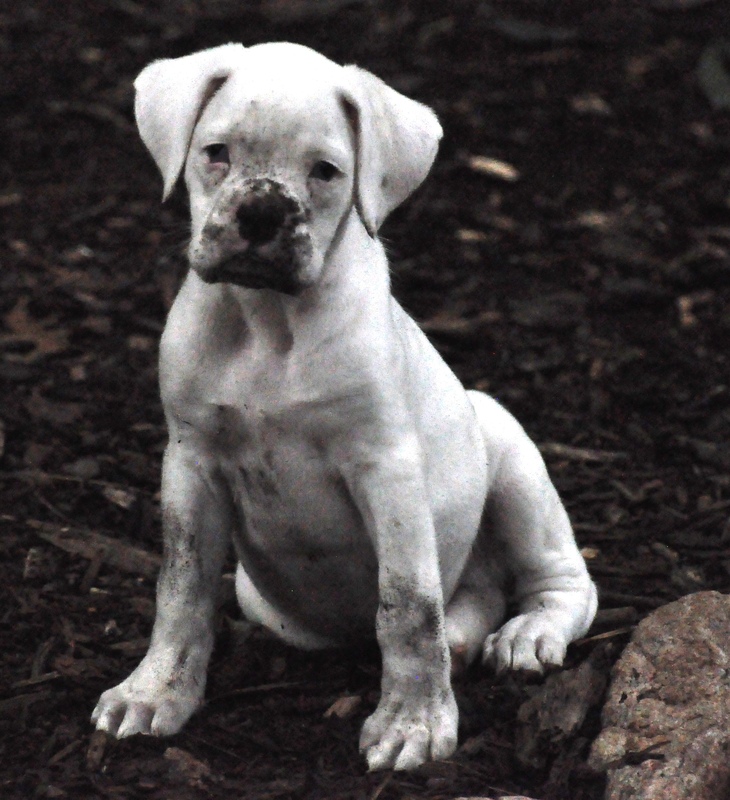 It was a very busy summer taking care of puppies. It was a wonderful experience for the family. Hard work! 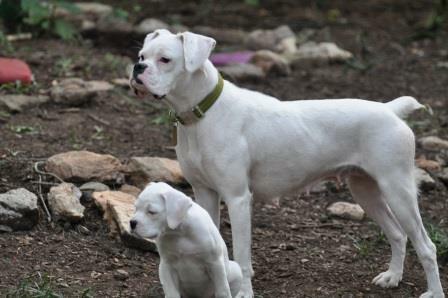 Momma Sam was adopted, only to be returned to the rescue spring 2014 when her family moved. 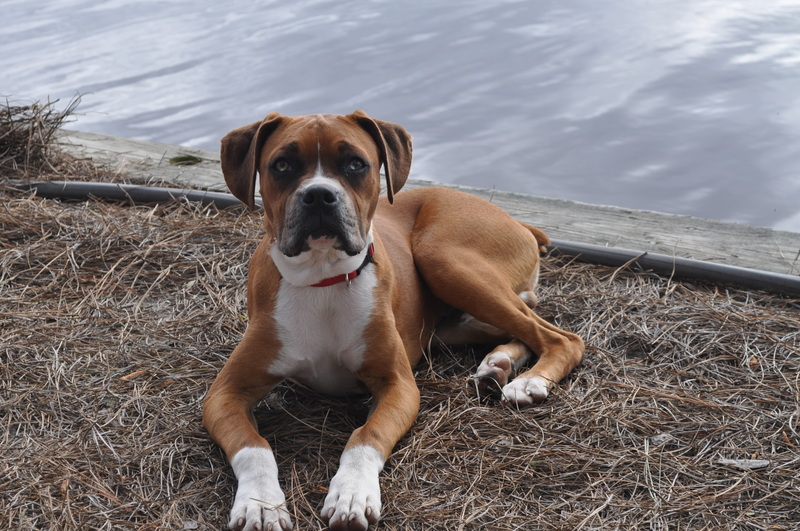 We took her back in and she was adopted Spring 2014 to a loving family outside of Goldsboro, NC. 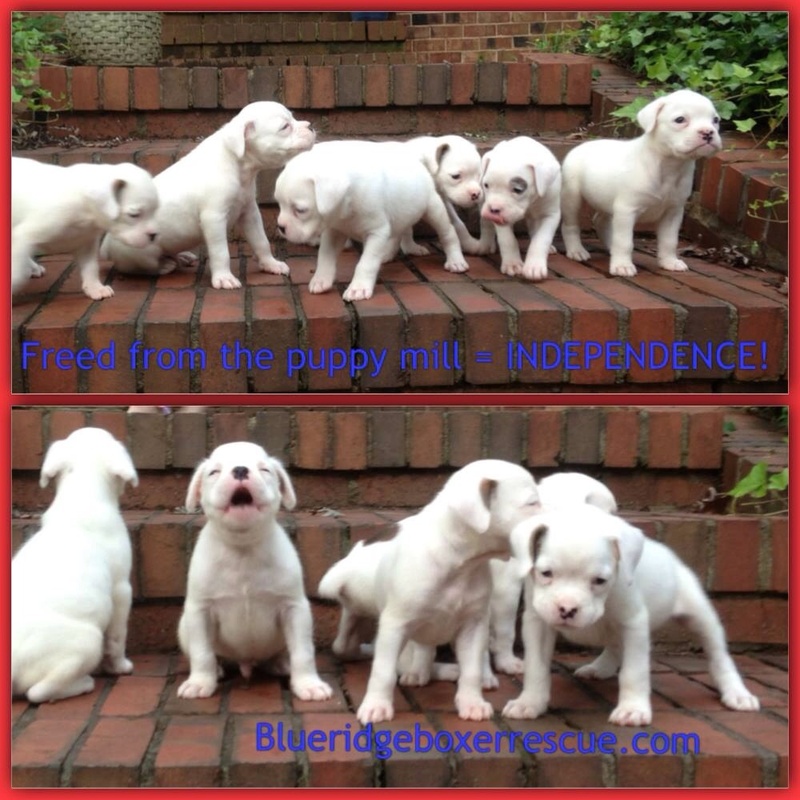 The puppies are all doing well and are HUGE! All of them beautiful! 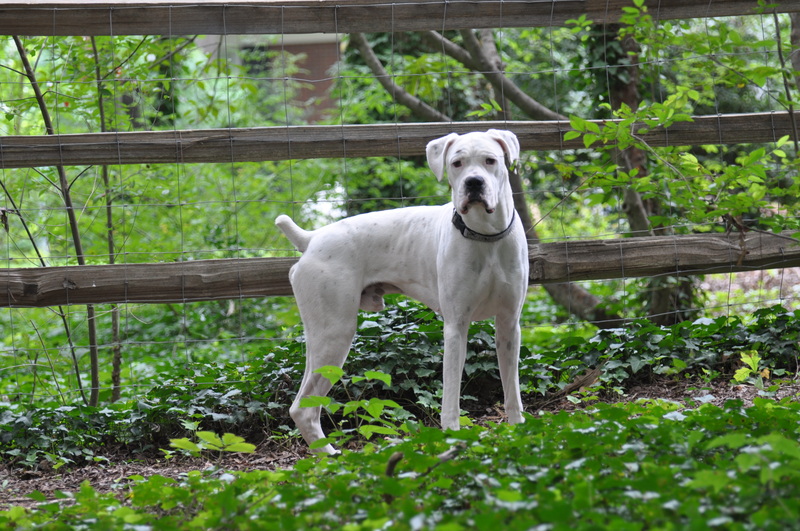 Fiona (September 2013) Fiona, an 85lb 10 month old Mastiff Boxer mix was with us for a short two weeks. 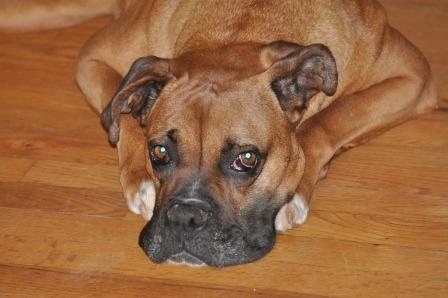 She was a kind, loving, laid back dog. 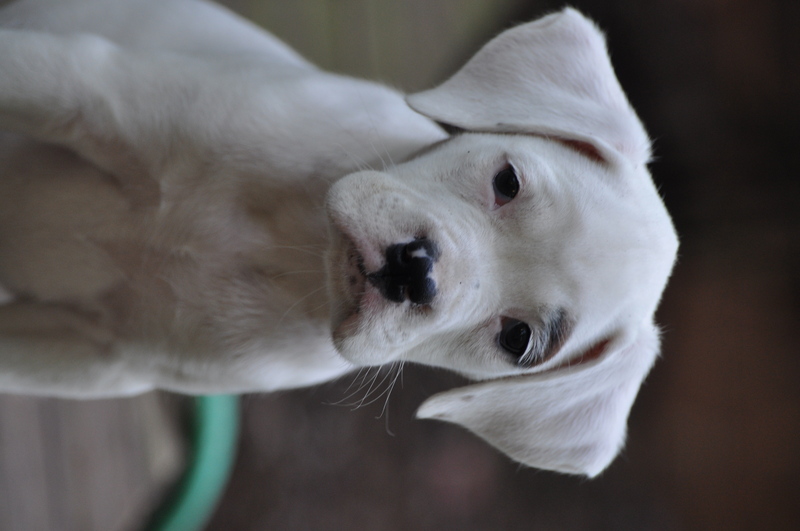 She was adopted to a family in Cary, NC. Emmett (January 2014)- Emmett was picked up as a stray. He had a large non threatening growth on his ear and a full tail. As a preventive measure, the growth was removed. 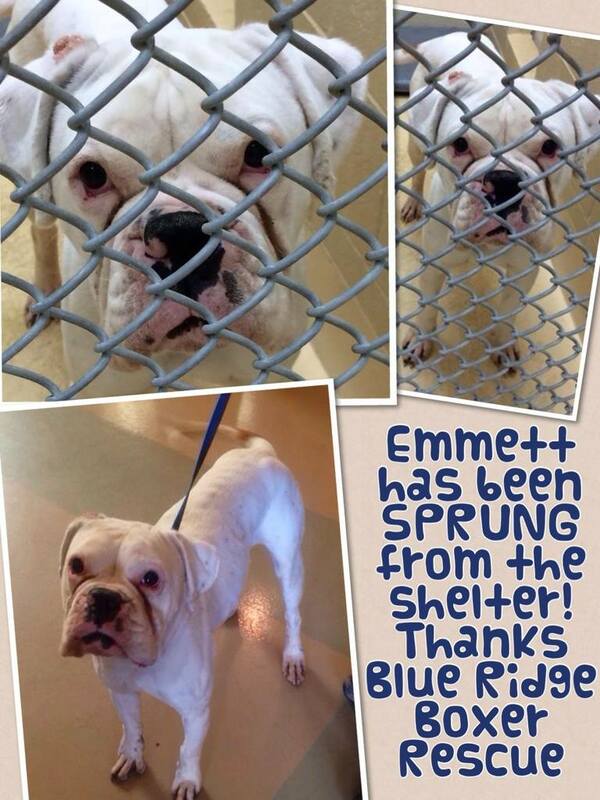 Emmett was a adopted locally. Just a block away in Raleigh, NC. 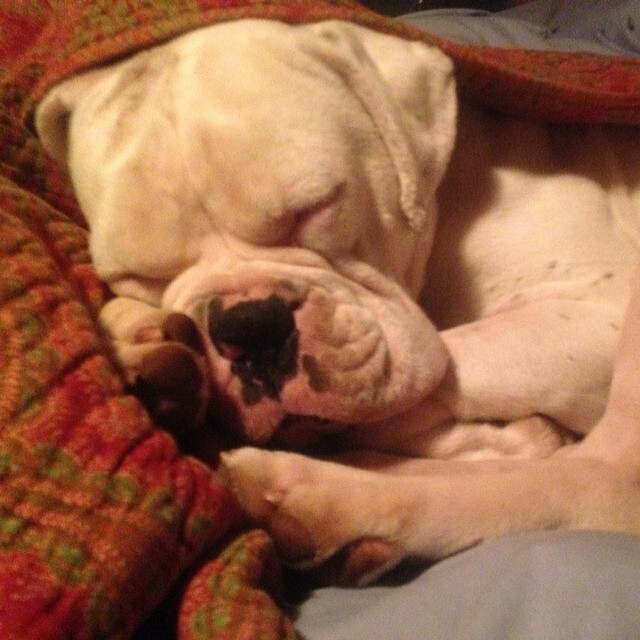 We love seeing Emmett and all his squishy cuteness very often! 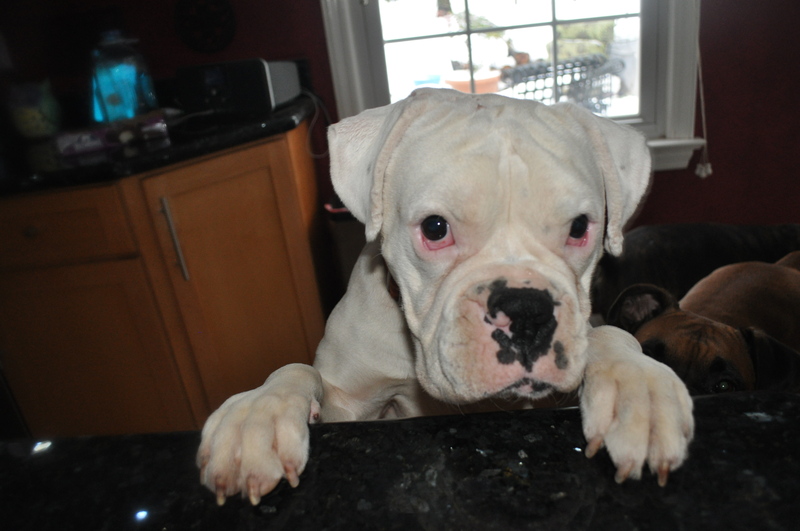 Emmett- Notorious Master of counter surfing! 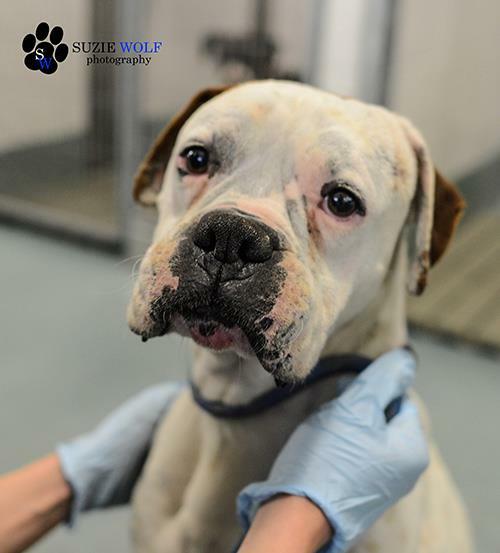 Rufus (April 2014) Rufus was surrendered to the rescue by a family who could not longer provide the care that Rufus needed. 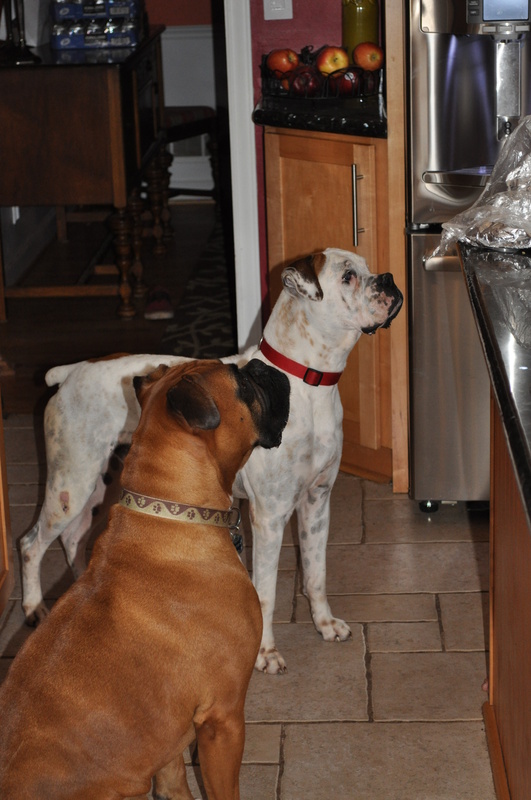 They did they right thing by entrusting Rufus to the loving care of the rescue. 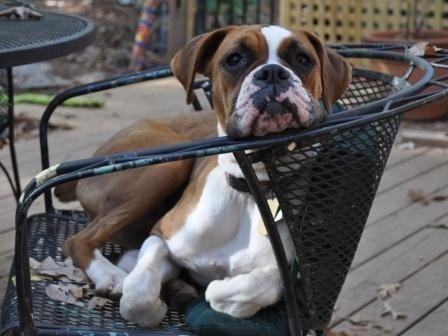 Rufus, 9 months, was a gentle loving puppy. Despite his age he did not have all the crazy puppy energy. 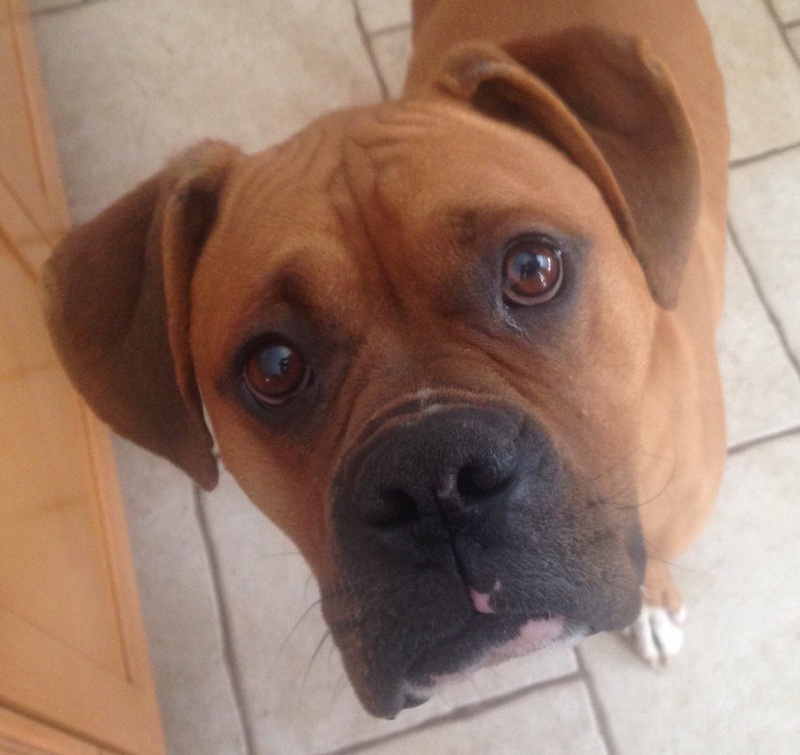 Rufus was adopted in May 2014 to a family in Charlotte, NC. Rufus has beautiful eyes. 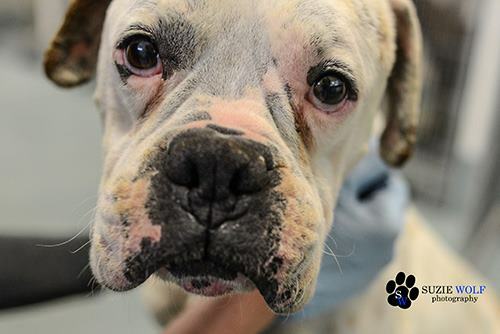 Judd ( October 2014 to Jan 2015) Judd was pulled from a shelter in rural SC. 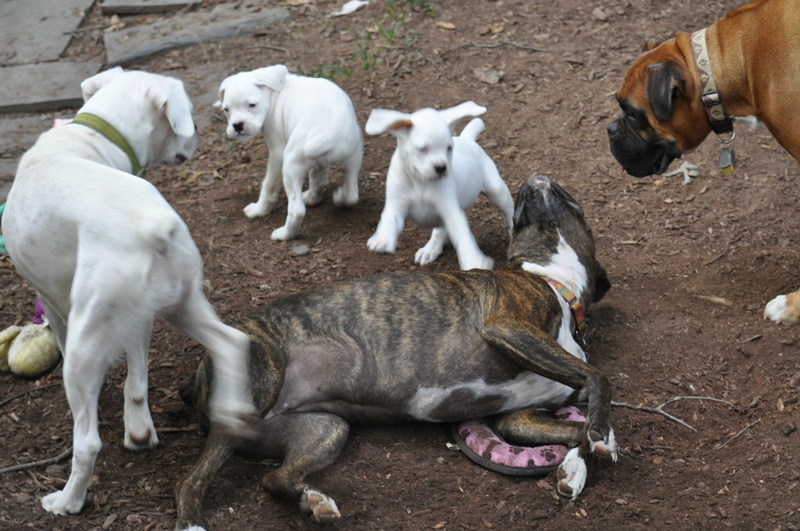 He was surrendered to the shelter with his boxer wife and their 5 two day old puppies. Their owner was taken to jail. Two of the puppies died shortly after arrival to the shelter. 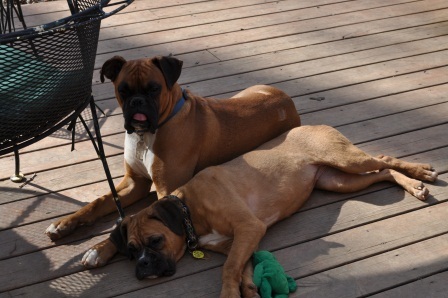 Both Judd and his boxer wife are heart-worm positive. 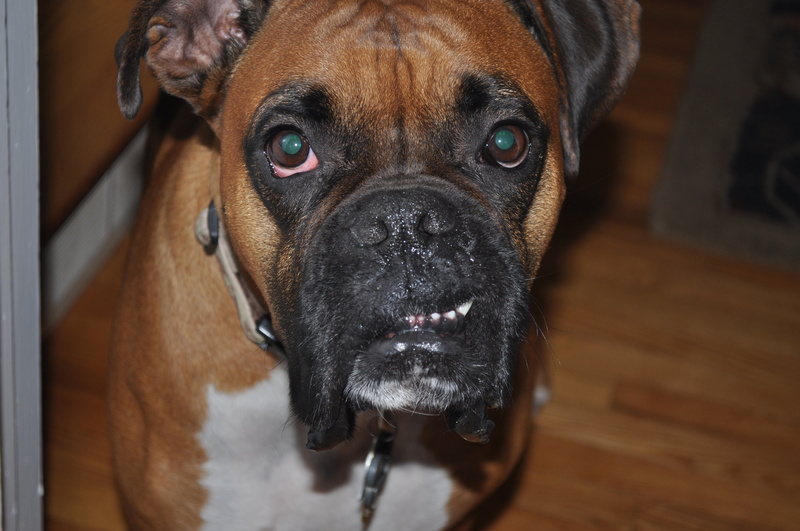 Judd will undergo heart-worm treatment starting in December. 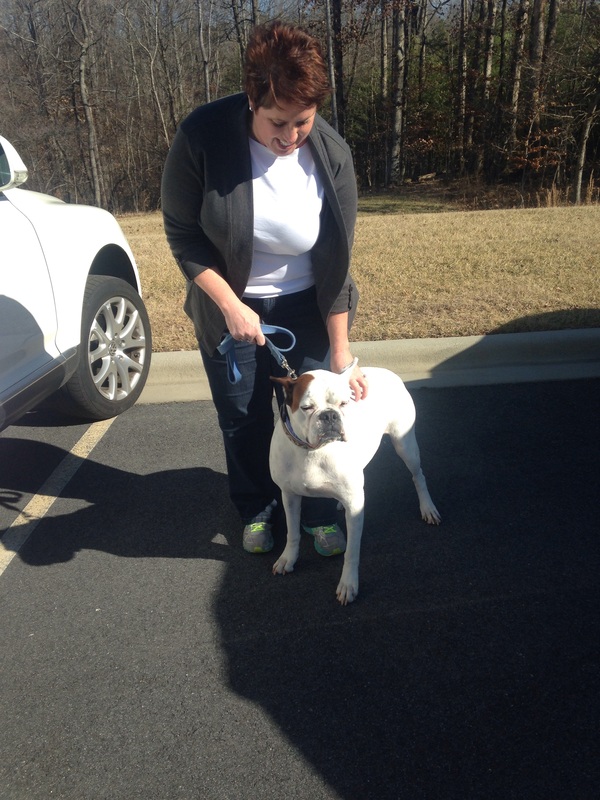 After the 6 week treatment, Judd will go to his furever home outside Charlotte, NC. Baxter (February 2015 to May 2015) Baxter, estimated 2 years old, was an owner surrender to a NC shelter due to his owners claiming they had too many pets. He was nuetered, very skinny, and heart worm positive. 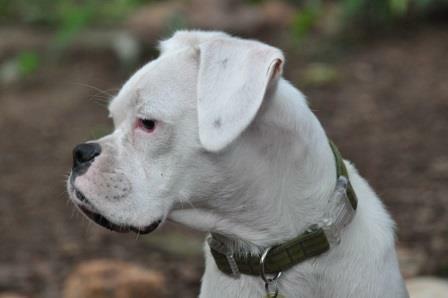 He is a beautiful boy and has adjusted very nicely into our boxer pack. He is definitely a puppy! Precious! 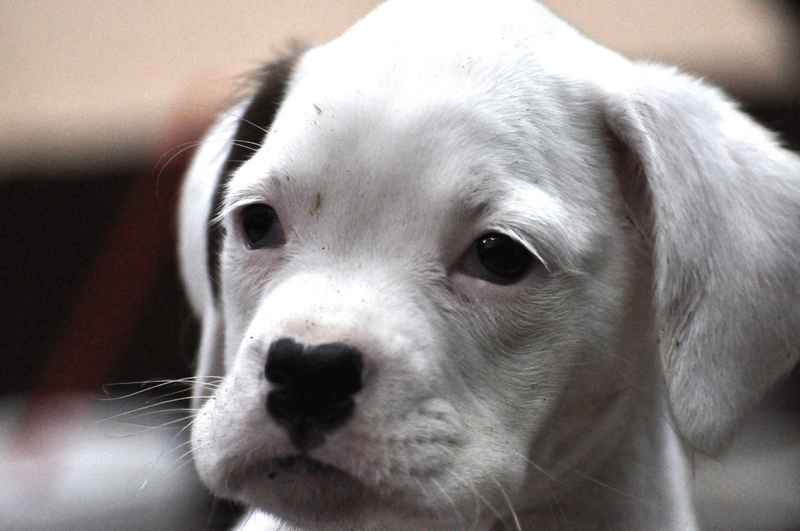 Miller ( August 2016)– Miller, estimated 8 months old, boxer bulldog mix, was an owner surrender to shelter with his siblings…wait for it….Corona and Bud. The rescue referred to them as the “Beer Crew”. 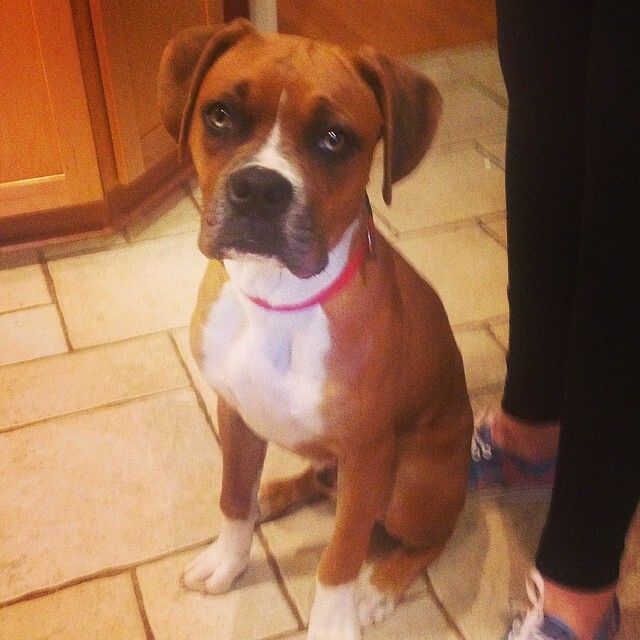 While they were clearly boxer mixes, we felt a strong urge to help them out. 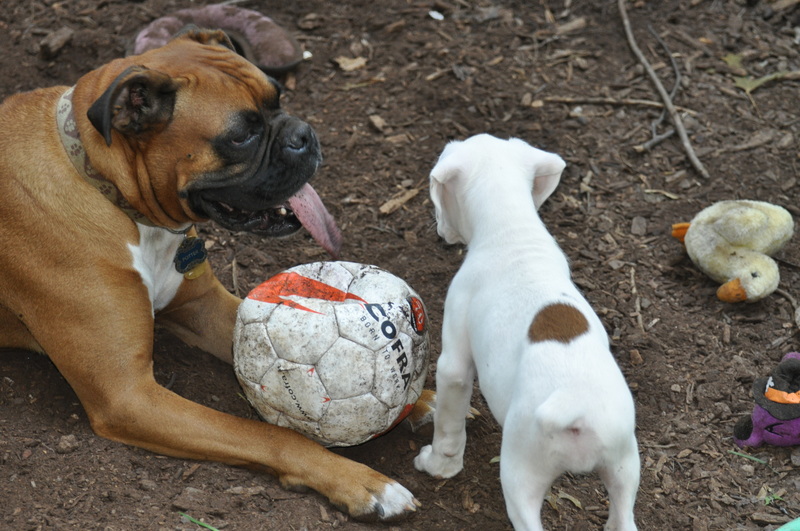 Miller immediately bonded with our two boxers and stole our hearts. I wanted him to be an foster failure but Dan said we had to keep the foster door open to help other dogs. He was right. 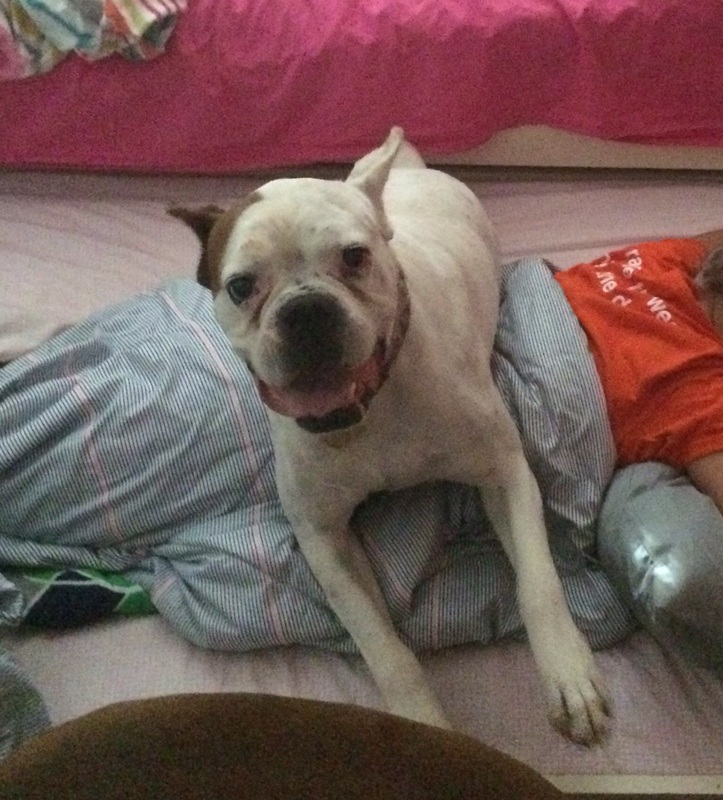 Miller was adopted to a local family and is being spoiled rotten. Yea Miller! 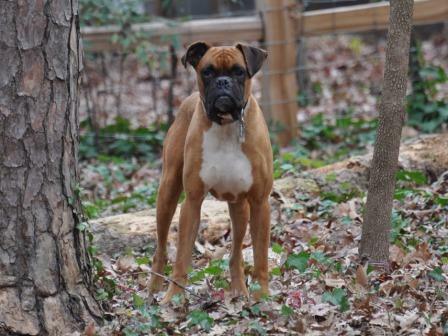 Roscoe (November 2016- February 2017) 1.5 year old Boxer. 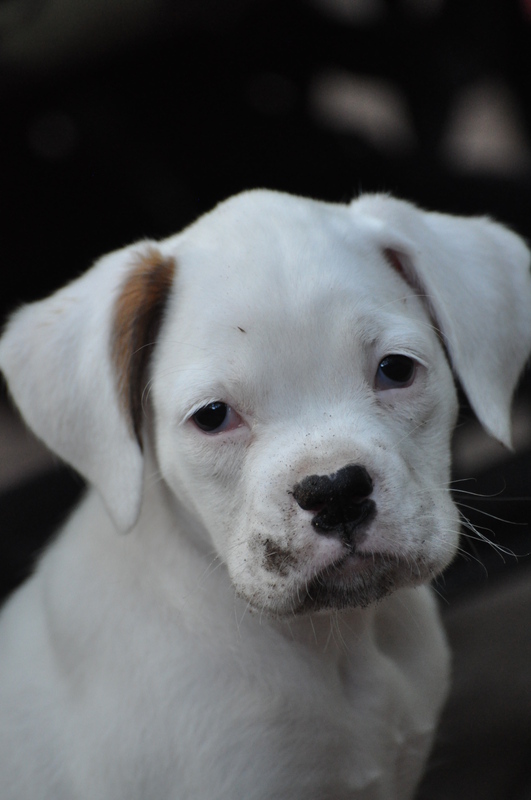 Typical mischievous boxer puppy. He was pulled from shelter in Salisbury, NC. I don’t have his back story. He came to us with some separation anxiety but quickly settled in. He is such a lover and loves to snuggle. He terrorized our house, especially our trash can that he thought was his prize box. He was too cute to stay mad at. 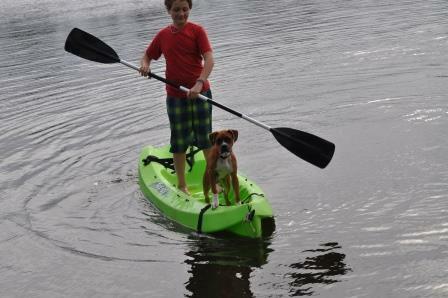 Rosco was adopted early February to a family in SC. 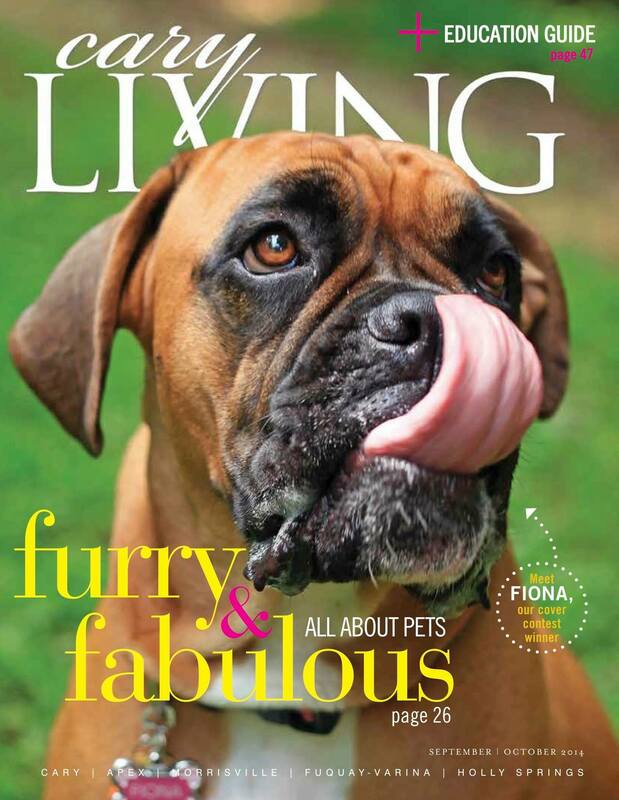 Absolutely fabulous story and pictures! You guys are amazing! !